A mystery surrounds Tesla. His contributions, which were great and many, have descended into obscurity. Why? Nikola Tesla, a Serbian scientist born in Croatia, was a humanitarian, a US patriot, and yes, an unbridled genius, though he has often been personified as the quintessential mad scientist. Perhaps his only real misdeed was being born ahead of his time. 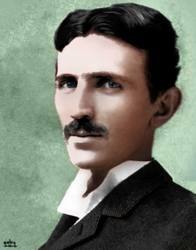 Tesla’s idea was to be able to provide power equally to all people on Earth. At this time there are 2 to 3 billion people on this planet that can’t go home at night and turn on the lights. The people that can’t are living in poverty. Tesla saw that there was a division between the haves and the have-nots. And he was determined to make electrical power equally available to all people on this planet… as a gift. This is the story of the man that time forgot and the US government which did no justice to him.